Drink Ease - Ingredient list for North America. Drink Ease is available in 32-tablet strip packet and is packaged in premises inspected by a regulatory authority to ensure the premises meet the standard grade of hygiene, class one. Drink Ease is manufactured according to the Homeopathic Pharmacopoeia of the United States, (HPUS). Drink Ease is listed with the FDA for over the counter sales in the United States of America. The National Drug Code for Drink Ease is 059672-0532-1, barcode of 75098005327 and tariff code 3004.90.9090. Each 340mg tablet contains five homeopathic remedies effective in countering the effects of a hang over. Each pack contains enough tablets for as many as 20 hang overs. Hang overs are a complex condition which occurs after consuming alcohol. The main, but not the only cause, is drinking too much alcohol, which causes various problems from headaches to upset stomachs. Other causes of hangovers are dehydration and toxic substances found in most alcoholic drinks. Add to this; lack of food, lack of sleep and inhaling other people's smoke. One tablet of Drink Ease should be taken at bed time along with a large glass of water. Repeat every fours hours if necessary. Drink Ease can be used by adult drinkers. If a user already suffers from a major medical problem, normal caution should be exercised in drinking. If after drinking the symptoms of a hang over continue, professional help should be sought. Drink Ease does not counter the effects of existing medical disorders when drinking, or the effects of general exhaustion. Drink Ease may be taken with any other medication. Like other homeopathic remedies, Drink Ease is most effective when taken separately from food and drink, but has been specially formulated so that it may if necessary be taken in association with food and/or drink, i.e. coffee. With the minute doses involved there is little possibility of adverse effects. There has never been any recorded adverse effect from homeopathic remedies above 12C. All remedies used in Drink Ease are 30C, well above the 12C level. Should a client take more Drink Ease than recommended, no harmful side effects should be expected, owing to the minute dilutions of active ingredients employed in homeopathic preparations. Some poorly manufactured homeopathic products are harmed by exposure to x-rays, coffee or aromatic products like mint. Drink Ease does not fit into this category. It has been robustly manufactured to ensure that it is effective when exposed to either x-rays or coffee or mint. The five homeopathic remedies listed below are the active ingredients in Drink Ease. 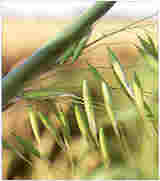 Avena Sativa, extracted from wild oats. - anxiety and insomnia in heavy drinkers. Source: Grows in the temperate regions of the world. Parts used: Fresh green plant when in flower. Capsicum Annuum, extracted from the chilli pepper. - feeble digestion problems from continuous drinking. 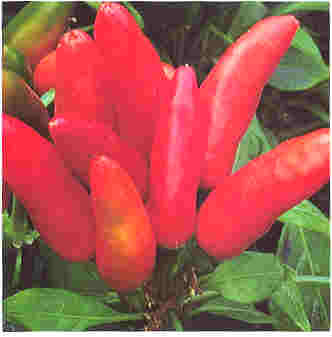 Common Names: chilli, capsicum, red cayenne pepper. 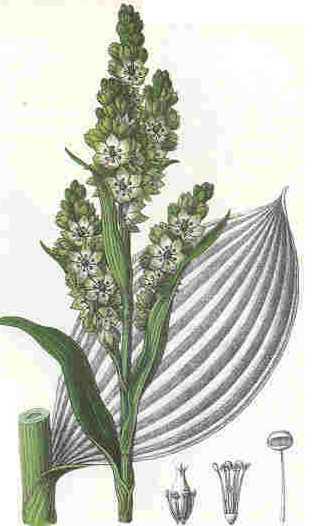 Source: Native to the East and West Indies and South America. Parts used: Dried capsules and seeds from the mature fruit. Nux Vomica, extracted from seeds of the nux vomica tree. - headaches and migraines when due to a hang over. Common Names: poison nut, quaker buttons. Source: Grows in India, Burma, China, Thailand and Australia. Veratrum Album, extracted from the fresh root. Source: Grows in mountainous regions of Europe. Zinc Metallicum, extracted from zinc sulfide. Source: Zinc sulfide which is common in nature, is found in US, South America, Australia and Asia. The three substances listed below are the inactive ingredients in Drink Ease. Sorbitol, is a tabletting agent. GRAS, generally recognisedas safe. Used in every day items like biscuits and jams and especially diabetic jams. Tastes like sugar. Magnesium stearate - E470b - is a separating agent. GRAS, generally recognised as safe. Used frequently in tablets. No distinctive taste. Sterilized talc - E553b - is a lubricating agent.